The Coworking London Conference 2018 will focus on the intersection of real estate, technology and the future of work. eOffice, a workplace network and a provider of flexible workspaces, is set to dive deep into the London coworking scene during its annual two-day conference. 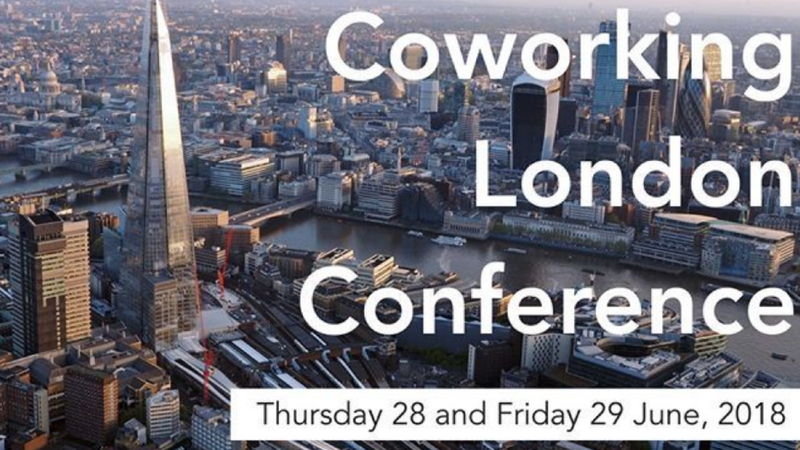 Back for its 5th year, the Coworking London Conference 2018 is an interactive meeting that will focus on the intersection of real estate, technology and the future of work. The programme includes presentations by experts from the workplace industry and insightful tours to some of London’s most inspiring coworking spaces. The first session features an impressive panel including Simon D Brown, Associate Director at CBRE and Elaine Rossall, Head of Office Research at Cushman and Wakefield. They will be joined by Sam Dawson from Kontor Space and Chris Namih, Head of Knotel London. Knotel is currently making a splash in Europe, as the fast-growing brand made its debut in London earlier this year and has just acquired Ahoy!Berlin, a workspace operator in Berlin, Germany. According to a statement, “Knotel’s plans for Germany are as ambitious as they are in the U.S.” and the acquisition “provides Knotel with a central base on which to scale rapidly in this market”. The first session of Day Two takes place at the White Collar Factory in Old Street – an apt location for a discussion on design and the environment. This impressive development comprises 237,000 sq ft of new space, spread across six buildings clustered around a public courtyard. Home to The Office Group, the White Collar Factory provides studios, incubators, apartments, restaurants and even a rooftop running track – said to be the highest track in the capital. During the session, Pier Paolo Mucelli, CEO of eOffice, will introduce a panel of speakers who will lead an interactive discussion on design and environment. They include representatives from Il Prisma, Evergen Systems, Wiredscore, WELL Building Institute, and EcoSync. Another in-depth discussion, this time focusing on the Future of Work and the external drivers that are shaping it. Moderated by Caleb Parker, CEO of Bold, the session features Mark Catchlove, Director at furniture design specialist Herman Miller, and Emma Perrotta, CEO of Bekudo – a global network of independent professionals.